AVA offers you the best Whitewater Rafting Trips, Zipline Tours and more adventure in some of the most beautiful locations of the Colorado mountains. Find a trip near you: with rafting trips on 9 rivers, mountaintop zipline tours in 2 locations, rock climbing, horseback riding, train rides and more, our Trip Finder will help you pick the perfect Colorado adventure for you, mild to wild, big to small. If you’re thinking of coming to Colorado for your vacation (or you’re lucky enough to live here! ), AVA will have activities close by no matter where you’re hoping to stay. 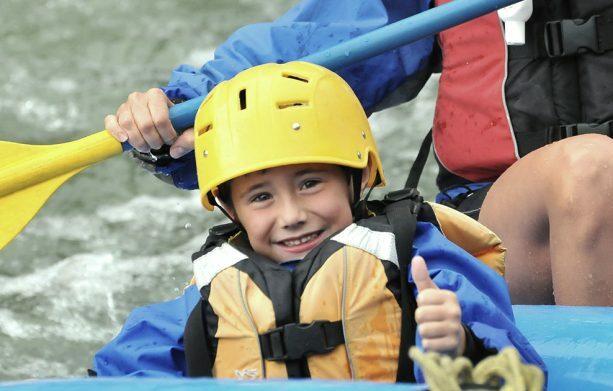 We offer whitewater rafting, zip line tours, and numerous other adventures in locations throughout the state. Whether you need to be close to Denver, you’re hoping to explore the resort towns of Breckenridge and Vail, or you want to escape to the Colorado wilderness, our friendly reservations staff will be able to direct you to the AVA Outposts and trips convenient to you. A Colorado whitewater rafting destination is almost always easy to find. When it comes to exciting Colorado activities, it’s hard to pick just one. That’s why AVA has created a variety of trip packages, allowing you to combine two or more activities and save money. We offer package options at two locations. 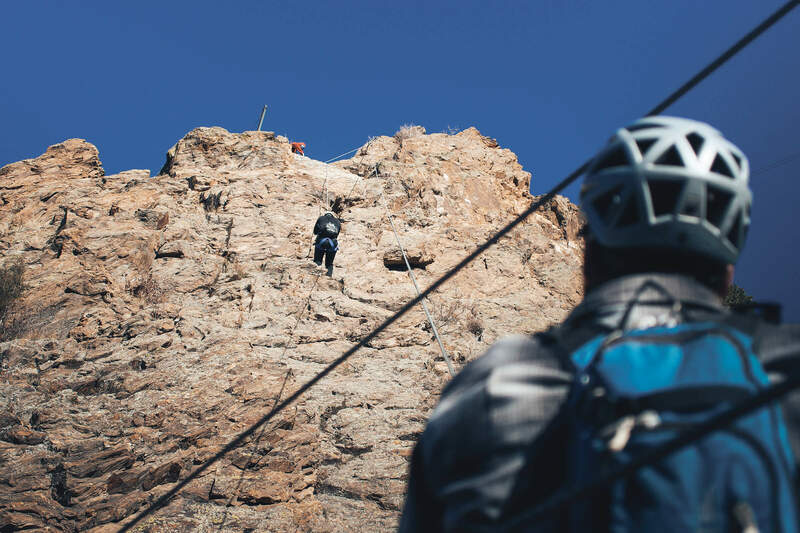 Our Buena Vista Outpost has packages that include rock climbing, rappelling, rafting, and zip lining. Our Idaho Springs Outpost has zip lining and rafting packages. Choose the length and difficulty level that fits your group, and we’ll find the perfect package for you! We have packages with beginner, intermediate, and advanced options for raft trips – at 2 locations. Our Zipline Tours require no prior experience. Still trying to figure out what trip best suits you? We know it’s a difficult decision, so we’ve built a Help Me Choose feature to assist you. Where you’re coming from, what time of the year you’re looking for an adventure, how old everyone in your group is, and what level of excitement you’re looking for will all come into factor on our Help Me Choose quiz, and you’ll be guided to some of our best trips selected specifically for you. 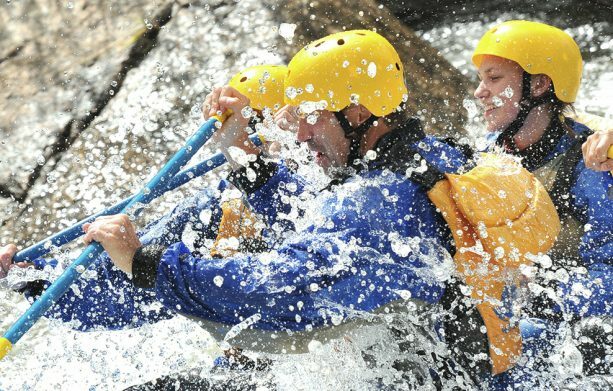 Between whitewater rafting, Via Ferrata, ziplining, rock climbing, fly fishing, horseback riding, and off roading, you’re sure to find an adventure that will suit you and your group perfectly. On the hunt for a true mountain excursion? 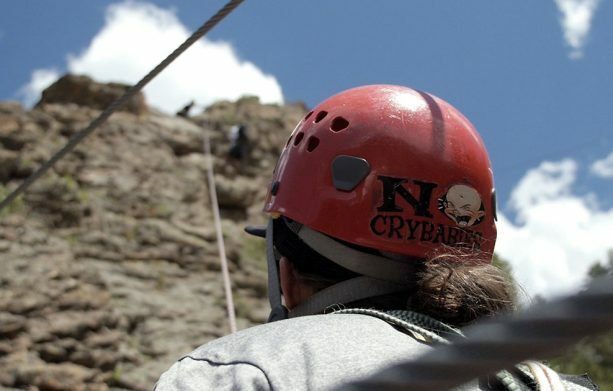 Head to Buena Vista, Colorado to raft the most famous stretch of whitewater in the state, fly above the Arkansas River Valley on our Mountaintop Zipline, or rock climb the majestic Granite Gorge Cliffs. AVA’s Buena Vista Outpost is located just over an hour from Summit County and under two hours from Colorado Springs, Colorado. Views of the Collegiate Peaks on all of our Buena Vista adventures will take your breath away. If you’re staying in the Denver area, our Idaho Springs outpost is just 30 minutes west of downtown on I-70. 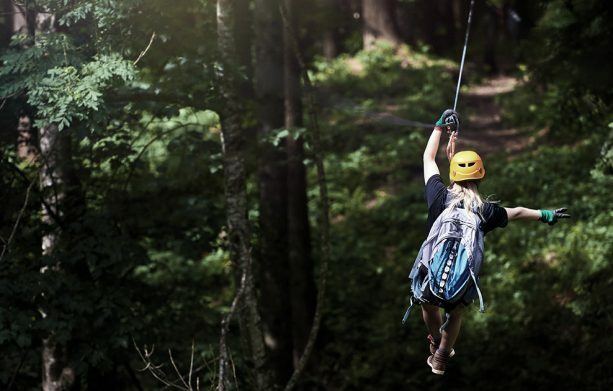 You can enjoy beginner to advanced levels of whitewater rafting on Clear Creek, soar among the treetops on our Cliffside Zipline, or try The Iron Way: Via Ferrata for an introduction to mountaineering. Enjoy an afternoon in Colorado’s Rocky Mountains and catch some incredible sights of the Continental Divide and historic mining town, Idaho Springs. Kremmling is the perfect destination for families looking for a mountain getaway. 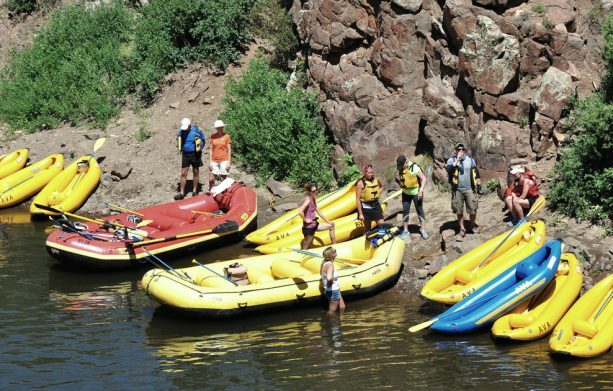 Located 45 minutes from Summit County and just under two hours from Denver, Colorado, our scenic float on the Upper Colorado River welcomes adventurers as young as 2 years old on these Class II rapids. AVA also offers fly fishing excursions, off road tours, and horseback riding out of our Kremmling location. With three major outposts scattered among the Colorado Rockies, you won’t have to travel far to indulge in some outdoor activities. We’ve built our locations to favor a multitude of areas across the state, so be sure to fit an AVA adventure onto your schedule next time you’re in Colorado. Looking for more? We raft on 8 rivers across Colorado, so check out all of our locations for more options for your Colorado adventure. One big perk of joining AVA Rafting & Zipline on an adventure is our lodging opportunities in Buena Vista. We have rustic miner cabins on site as well as a campground equipped with community charcoal grills and picnic tables to use during your stay. Plenty of our Buena Vista activities have the option of adding lodging to your trip, giving you more time to enjoy the Arkansas River Valley and quaint mountain town. Let AVA take care of all of the logistics while you sit back, relax, and enjoy the company of your family and friends. On our overnight rafting trips, we'll cook your meals, set up camp, and deal with all of the gear while you relax next to a warm fire riverside, throw a fishing line into the water, or read a book. Overnight trips are offered in both Buena Vista and Kremmling, Colorado, ranging from 24 hours in the wilderness to a few days of outdoor fun. Need help picking out your Colorado adventure? Here are some of the AVA staff and guides’ favorite trips, including rafting, ziplining, packages and more.